For the most part, the best way to save money is to make it automatic. Start out by automatically setting aside money earmarked for savings. If you have a job, you can have the money deducted from your paycheck before you even see it. This is known as “paying yourself first,” and it is a good way to ensure that money for savings is available to you. After all, you can’t spend what you don’t see. Don’t forget to make contributions to retirement accounts automatic as well. This way, you’ll be preparing for the future without having to make a conscious effort to do so. Even if you work for yourself, or if you can’t have a portion of your paycheck diverted to a savings account, you can still make it automatic. Schedule an automatic transfer from your checking account to your savings account at the same time each month so that you save without thinking about it. Don’t forget to carefully consider where to keep your savings. You definitely want to put some of your savings in a tax advantaged retirement account. That way, your money will grow more efficiently over time. this can help you put off paying taxes until later, or even avoid paying taxes on your earnings altogether. In either case, you are on track to boost your retirement. You can also keep your money in a high yield savings account. This can be used for your emergency fund, allowing you quick access to money that you might need. While you won’t earn a great deal of interest on your money in such an account, you will have access to it, and a high yield account means that you can make the most of this low-rate environment. If you are a little more daring, you can keep some of your money in a taxable investment account. Some people claim that this is the best way to save money, since you can access it as needed, and you have a better chance of potential returns. However, you also have to be prepared for the potential losses. Consider the pros and cons, and consider keeping the money in your taxable investment account in assets that are generally considered a little less risky, such as index ETFs. 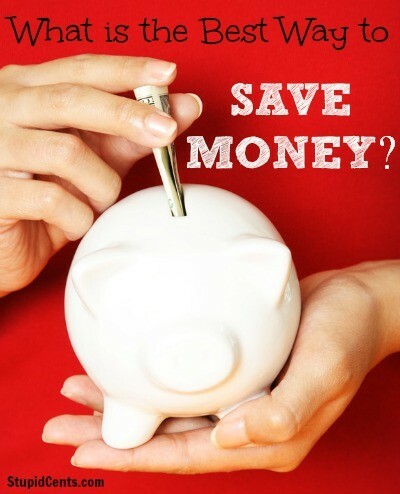 What is Your Best Way to Save Money? In the end, you have to review your situation and your risk tolerance. Think about what you hope to accomplish, and what makes sense in your situation. Think about where you will keep your money, and how much you can have automatically transferred. This will help you improve your situation, and lead to a better financial situation down the road.